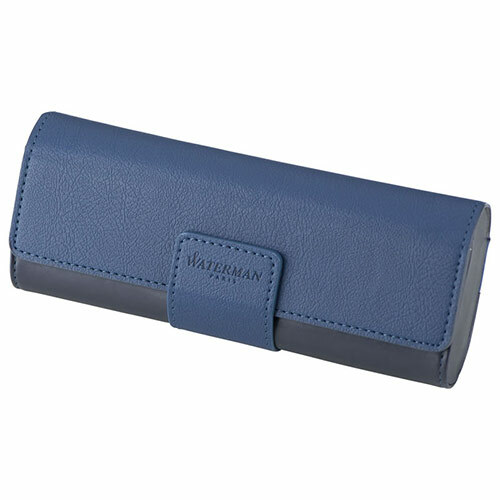 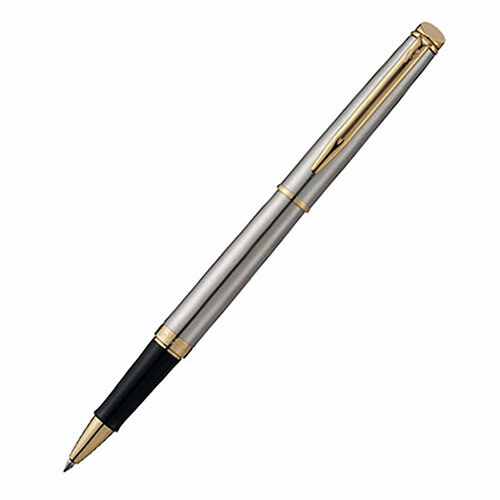 Elegant rollerball pen from the renowned brand Waterman of Paris. 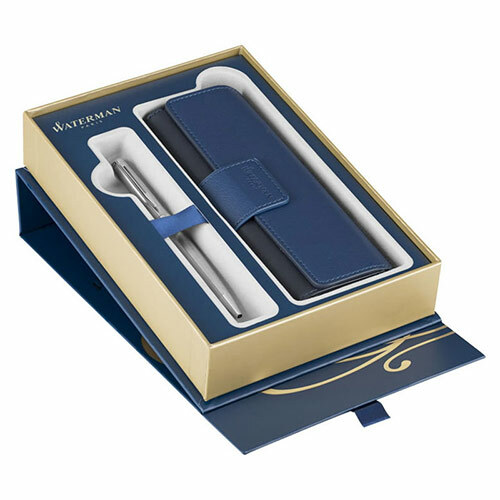 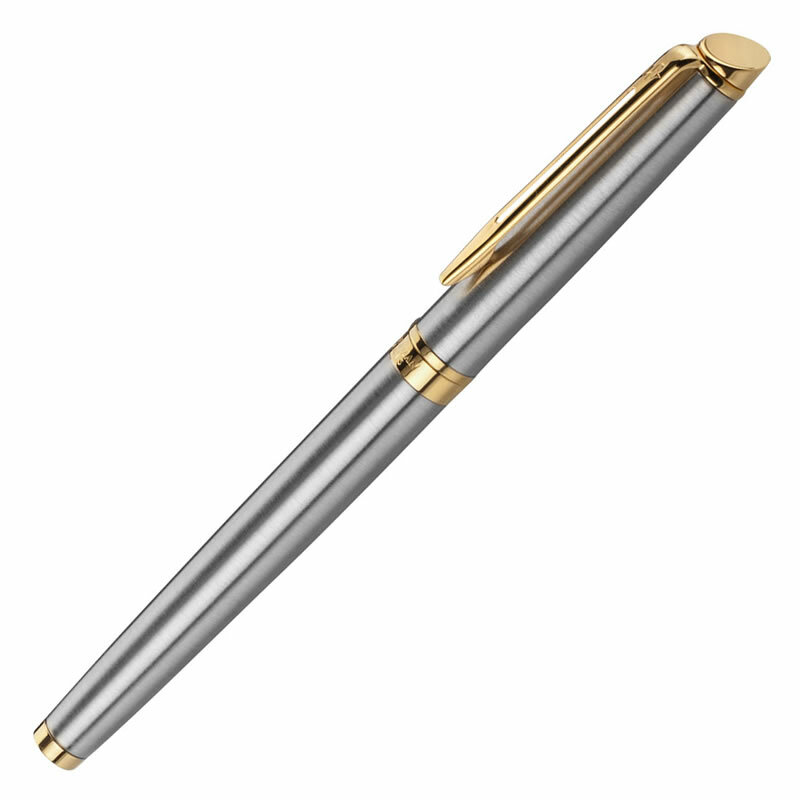 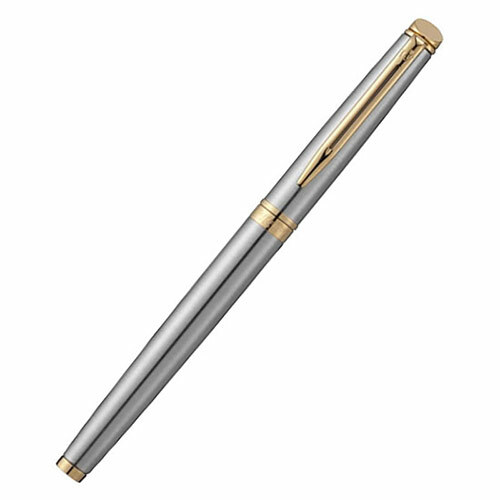 These 'Hemisphere' pens are crafted in stainless steel with gold trim and are supplied in a deluxe Waterman pen pouch gift box. These black ink rollerballs can be personalised by engraving into the black cap of the pen.